Fa, la, la, la, la! It’s Blogmas post 2! Are you enjoying blogmas so far? I know I am. Whether its picking a tree, caroling through the neighborhood, or staying up late watching Christmas movies on Christmas eve…we all have Christmas traditions for the holiday season. Yours might be different from the next person, but they’re all special to us. I asked back in October what was some posts you would want to see for blogmas and by far you requested a post about my Christmas traditions. Everyone was curious what my family and I do for Christmas, so here it is! Family traditions are some of the best things in this world. I hold my family very close & Christmas is one of our favorite times of year. I love traditions because everyone has different ones. My family has our own and I’m sure you have some different ones. 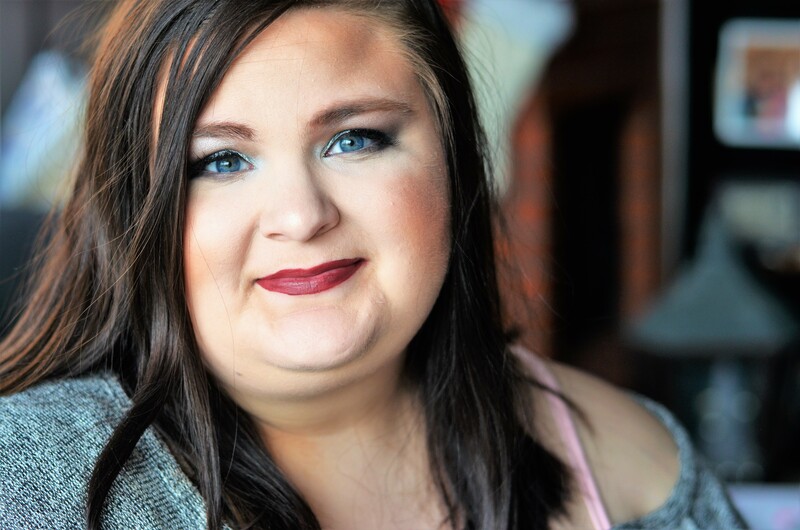 I was thrilled that ya’ll wanted this post because its one I really love to read from other people. It’s so exciting to hear about everyone’s personal traditions and what they do with their family during Christmas. 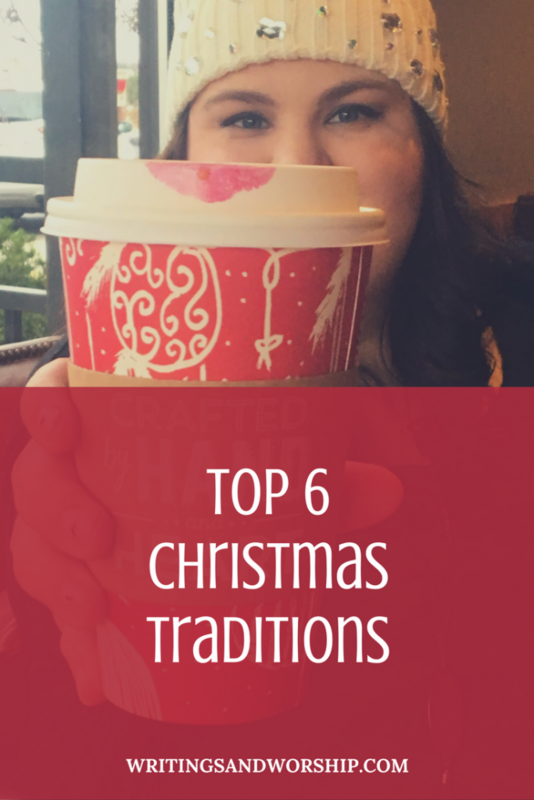 While I could name off many, many Christmas traditions, I thought it would be fun to name my top 6! That way no one gets too bored. Ha! 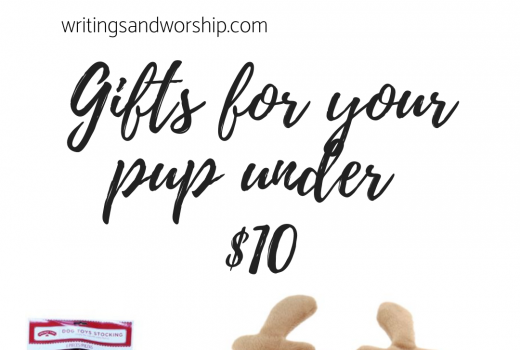 Some new & some old, here comes my top 6 Christmas traditions. Ever since I was little, my mom bought my sister and I new Christmas pajamas (usually matching). Even now, when my sister and I are older, we still get pajamas! It’s always so fun even though I know its coming. It was always something to look forward to when I was younger. As much as we love the commercial side of Christmas, I always knew from a young age what Christmas was really about. So after opening our fun pajamas, my dad always would sit us down and read the story of Jesus’ birth. I love this merge of the commercial side but then my parents would bring our focus right back to Christ. 2. The weekend after Thanksgiving my family decorates the tree, watches White Christmas, and usually eat the same foods every year. This is another tradition from my childhood. Every year, usually that day after Black Friday, my family takes a night and does the tree and decorates the house. We turn on White Christmas and enjoy each others company. We have green olive & cream cheese sandwiches, other snack foods, and homemade hot chocolate. I’m not sure where the green olive & cream cheese sandwiches came from…but we’ve ate them on that night only since before I can remember. Our tree is one of the prettiest trees I have ever seen, although I am a little biased. Like I briefly mentioned in number two, my family, usually my sister or my mom, make homemade hot chocolate to use for the month. We make our own instant powder but it tastes 100 percent better than anything you buy from the store. I prefer my hot chocolate with whip cream. We also usually make a spiced tea mix as well. I am in love with this tea! It’s a mix of spices, tea, tang, and a few more things. 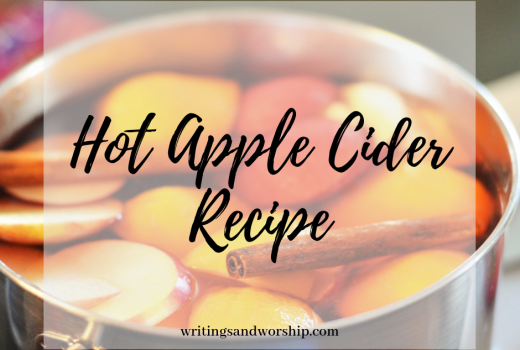 I will actually be sharing the recipe in a later blogmas post! Both of these are traditional drinks my family has throughout the Christmas season. The smell of either always takes me back to countless moments with my family sipping a hot drink with the twinkling lights of our tree shining. My family is a big fan of Christmas movies. We watch them all month long! From classics to Hallmark Channel movies, we watch them all. I try not to watch one before Black Friday but sometimes that doesn’t happen. Throughout the month, we will gather as a family and watch a movie all together with the fire on and eat dinner. Some of our favorites are: The Santa Clause, Arthur Christmas, Christmas in Connecticut, How the Grinch Stole Christmas (both old and new), and so many more! One of my favorite TV movies is the 12 Dates of Christmas. I could watch them everyday if I could…but I try to pace myself! This tradition is a newer one but still amazing nonetheless. The last few years my parents, sister, and I load up in the car one night, go buy a hot chocolate or coffee and drive around for an hour or more just looking at local lights. I normally pop popcorn and pack some snacks (such as butter cookies) so we can enjoy them as we drive around. Sometimes my grandparents come along as well! But my grandpa is not allowed to drive…he drives at a speed that makes the lights look like a blur as we drive past. Honestly this has become one of my favorite traditions lately. Since I can remember, my family, including grandparents, always go to a new restaurant on Christmas Eve. We research and find a new restaurant that we’ve never been to and go eat dinner as a family on Christmas Eve. The past few years we have had to recycle through a few old ones because most new restaurants are getting very pricey. We always pick somewhere that’s a little fancy, somewhere that isn’t a place we would normally go to- makes it a bit special. What are a few of your family traditions? I’d love to hear them! Happy, getting closer to Christmas, time! That’s an awesome idea!! I hadn’t thought of that- what great memories they’d make Too! It’s so fun to read about other people’s Christmas traditions. The holiday season sounds like such a special time of year for your family! I can’t wait for your spiced tea recipe, it sounds incredible! It is!! I’ll try to remember to let you know when I post it! I love your christmas traditions! I need some christmas pjs in my life! Yes, everyone needs some Christmas pjs! I’m so sorry you don’t get to be with them! Praying for a fun and great holiday for you. 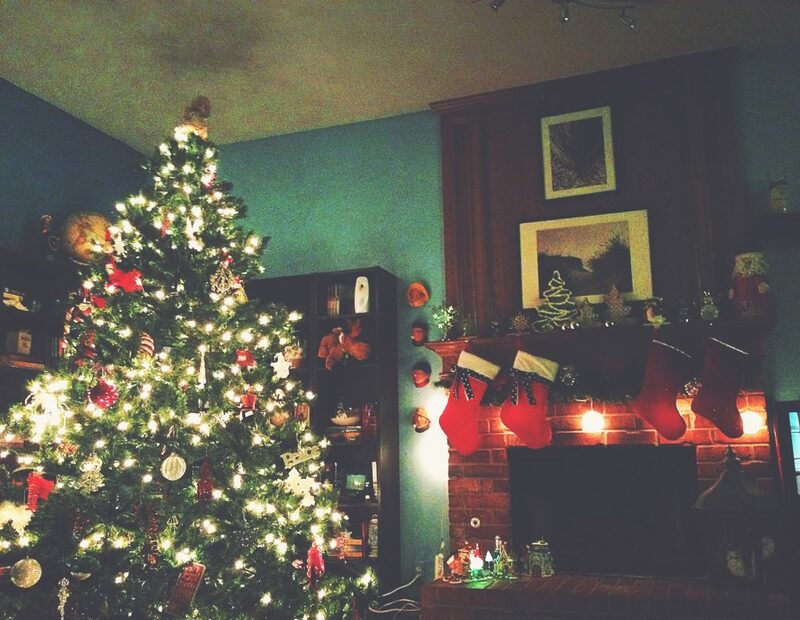 I just loved reading about your christmas traditions! it’s so fun for families to have these things that they do together every year. Our family has so many of the same traditions. On Black Friday, we opt out of the shopping mayhem and go pick out our tree and spend the rest of the day decorating, eating leftovers, and watching Christmas movies. These are wonderful Christmas traditions!! We always decorated the tree the weekend after Thanksgiving, too! We didn’t do Christmas lights adventures, but that’s becoming a new tradition for me with my in-laws. It’s a lot of fun!! Thank you for sharing these!! Sinterklaas (Dutch Santa) comes to visit on December 6th — he leaves the kids chocolate coins and oranges. And we cook a traditional Dutch dinner. Boys get new matching Christmas PJs from Hanna Andersson. It’s a fun time of year! YESSSSSSS to Hallmark movies! Oh, I just love reading about your Christmas traditions! We also have the pajama tradition on Christmas Eve. Our family used to go to the movies on Christmas Day after everyone was done opening gifts, had eaten, and taken a nap. Thanks so much for sharing these! Yes the movies is s great tradition we do too. I do a lot of these traditions as well! I love the new restaurant on Christmas Eve idea! I always find it so interesting to read about other people’s traditions – thanks for sharing yours! I love that your family’s Christmas Eve tradition is to go to a new restaurant each year. My family’s Christmas Eve tradition is to eat pyrogies and kielbasa, play card games, and go to midnight mass. My husband’s family’s Christmas Eve tradition is to have a big open house with lots of traditional Norwegian dishes. I think one of the most complicated parts of being married was trying to figure out how to mesh our families’ traditions as neither of us wanted to give ours up! I love your family traditions. Especially trying out a new restaurant on Christmas eve. We are definitely a movie family and we always put our tree up the week after Thanksgiving too. Those are our favorite traditions as well as dropping off treats at our local fire and police stations. We look forward to these every year! I’ll have to do that one with the treats, I’m sure they love it. How fun are these traditions! Our kids are juuust getting to the age of caring about Christmas so we are in the midst of merging traditions. We have determined we are a Midnight Mass then home to open presents on the wee hours of Christmas Day. We also make treats to send to deployed troops,my husband is deployed this year so its especially dear to our heart. We may have to make some of that hot cocoa and tea mixes to send!! It’s felt so nice to read your Christmas traditions. We also have similar traditions for our Indian festivals which is why festival time is the most wonderful time of the year. I have a few similar traditions! Christmas is one of my favorite holidays, and I can’t wait to incorporate my family traditions with my OWN family one day.